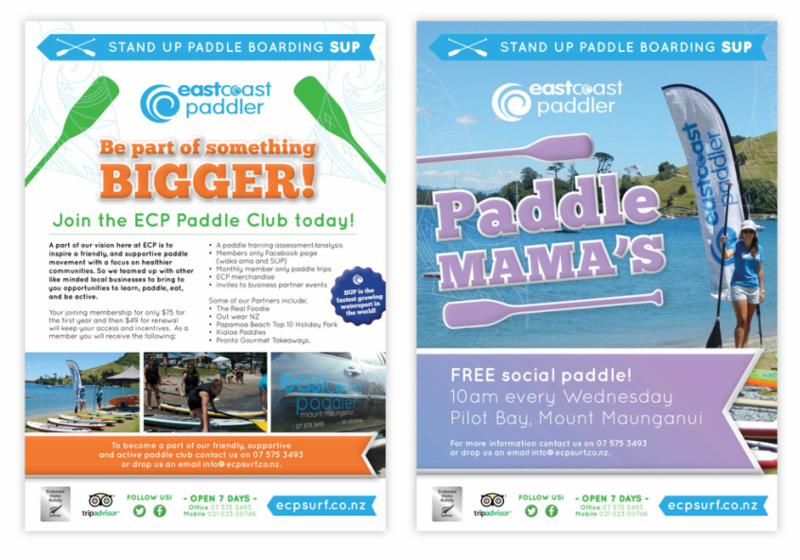 East Coast Paddler are a fantastic local business who were looking for some help from our advertising agency with their promotional material. As part of Platform Agency’s marketing plan, we developed a DLE flyer to be placed in information centres as a marketing tool for the team to hand out on while onsite. The content needed to be the right mix of information and fun to create engagement and let people know why they should go paddle boarding today! We used this flyer as a marketing strategy with the basis for a poster and also other promos to be shared on social media platforms.